If you like to wear fancy two piece walking suits that you won't see other guys wearing. Try Royal Prestige. Royal Prestige is know for designing stylish menswear that is made in limited amounts so you won't see everyone and their mother wearing the same thing as you are. 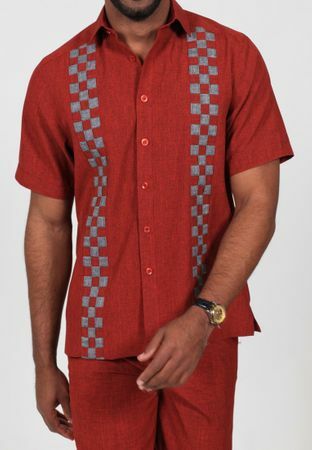 This red and grey woven style walking suit features a stylish top with matching flat front pants made of fine heather rayon fabric with a silky feel.